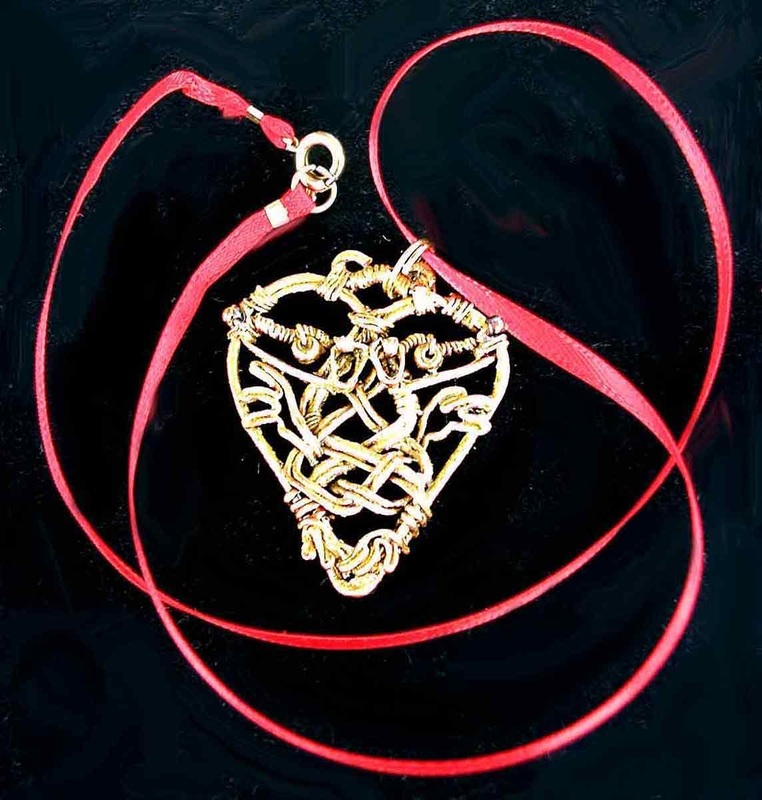 Wire wrapped heart shaped pendant. 2 dogs form Celtic knot pattern. 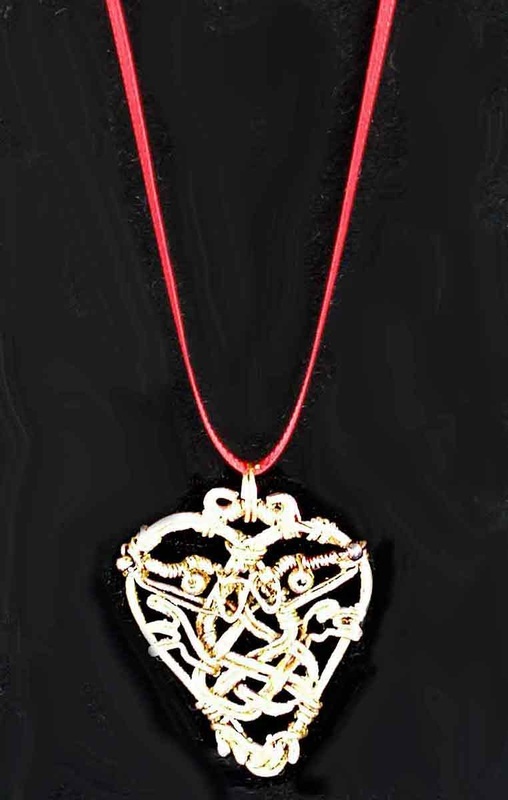 Pendant hangs from a red neck ribbon. The ribbon is finished with a clasp. Great for Valentine's Day and beyond! 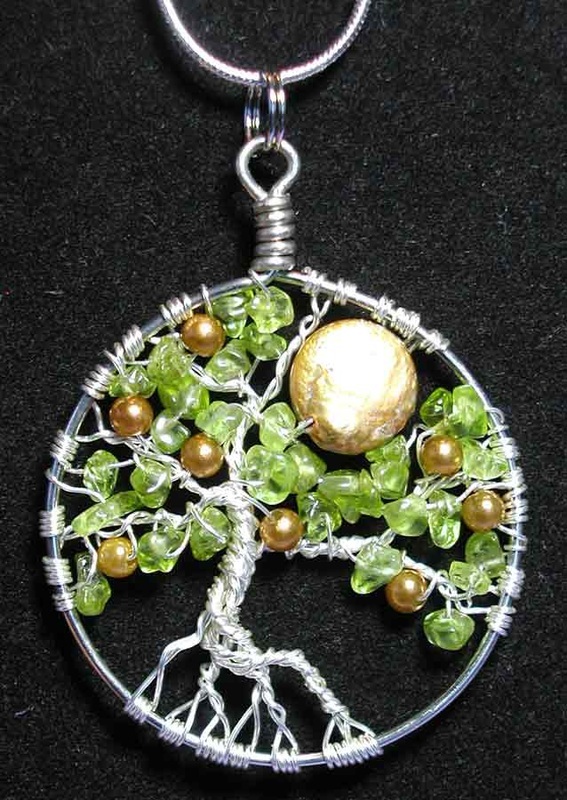 Tree of Life (TOL) Pendant. Beautiful Red Jasper stone wire wrapped framed by Gold colored wire, which also forms the tree covering the stone. Genuine Peridot chips are the leaves above it. Hangs from a Genuine Gold plated snake chain. Unique peach or orange colored Freshwater Pearls hand amid genuine Peridot chips on this pendant. Frame and tree are formed with Silver plated, artistically wrapped wire. 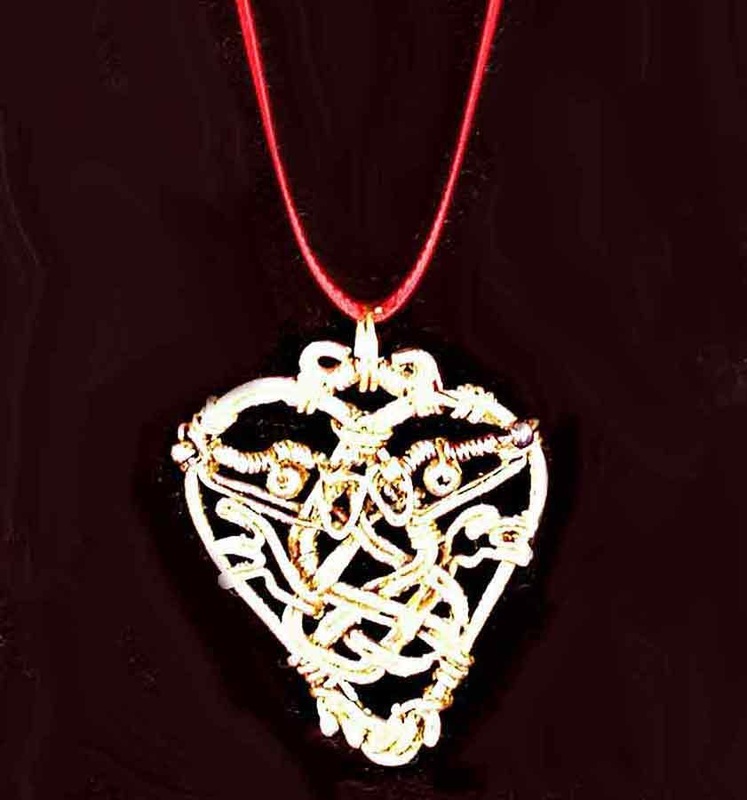 Hangs from a Silver plated snake chain.